Perfect for most applications inside or out, Waterhog Classic Diamond's unique design makes it revolutionary. The rubber reinforced face nubs and diamond design provide crush proof scraping action. 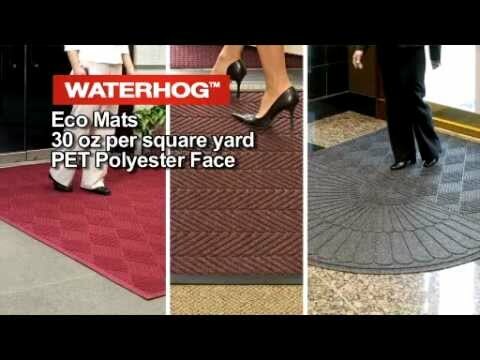 The raised rubber "water dam" border traps dirt and water, keeping them off carpet and floors. Contains 20% Recycled Content. Certified slip-resistant by the National Floor Safety Institute. Solution-dyed polypropylene yarn.